Lately I’ve been a bit obsessed with all things vintage. If you follow me on Instagram, you may have noticed me sharing lots of my favorite finds. 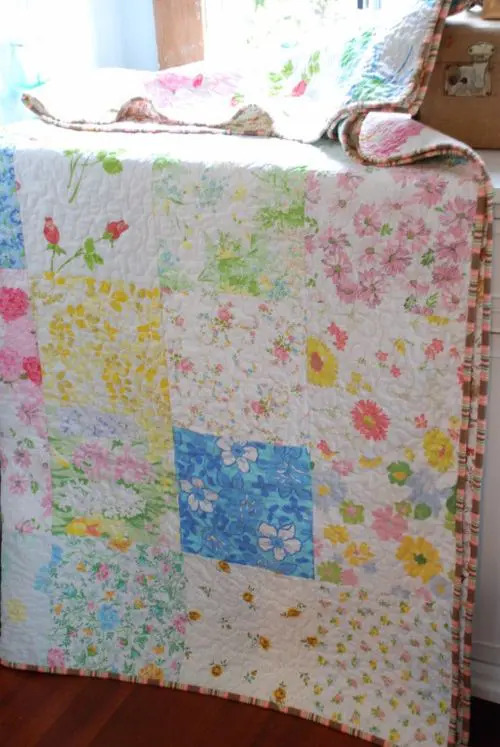 My mother is a quilter, and because of that I’ve developed an appreciation for vintage quilts, afgans, fabrics and linens. The deliciously soft texture of the worn fabric and the delightful colors and patterns just make me smile. Since I’ve become somewhat of a minor hoarder, I’ve been doing a lot of research on how to upcycle these lovely finds. Over the next few weeks I’ll be sharing these ideas with you here. 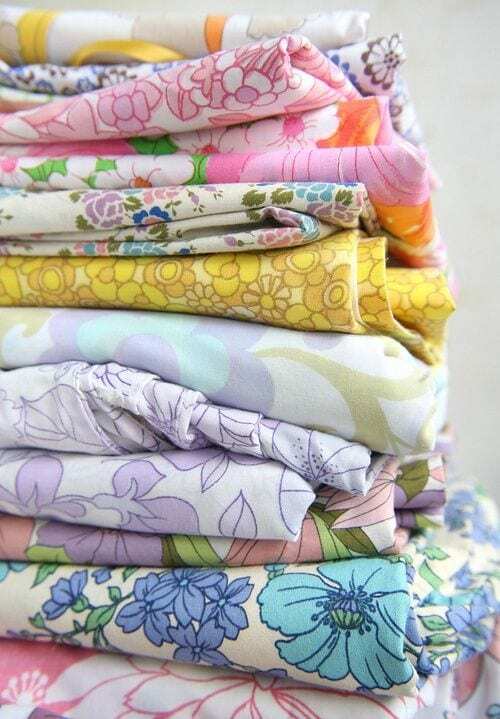 Today, I’m going to focus specifically on vintage fabrics and bed linens. Below are more than 15 inspirational ideas for re-purposing these treasures, plus ways to score your own! 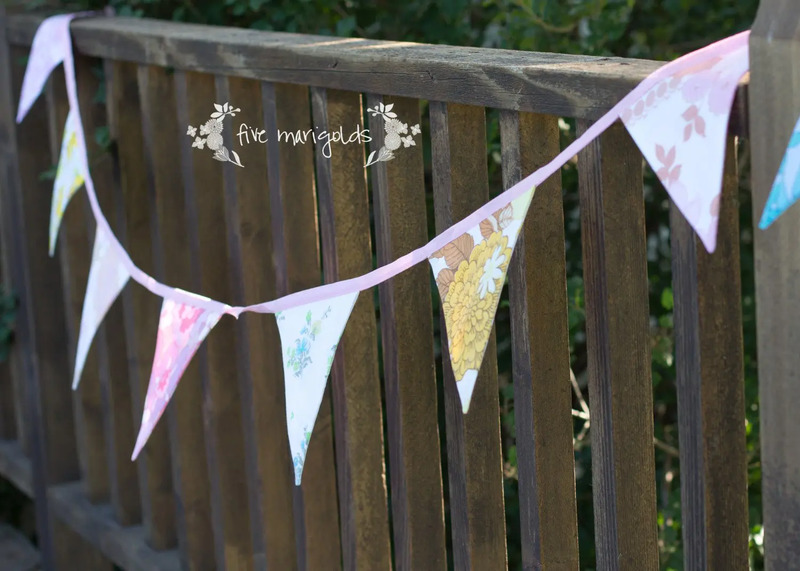 Pennants and Bunting – Years ago I bought a beautiful bunting made from vintage sheets. Not only does this come out to decorate every birthday party for both girls, but it hangs on the wall of my daughter’s bedroom every other day of the year. Beautiful, functional and timeless investment! 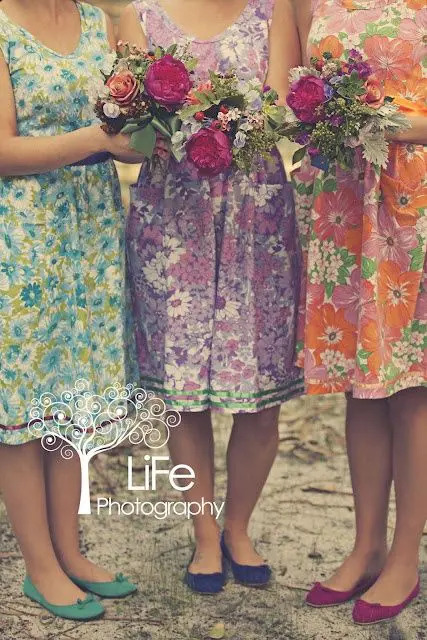 Clothing – I’m so charmed by these beautiful clothes made from vintage sheets and fabrics. How gorgeous are these tea-length bridesmaids dresses?! 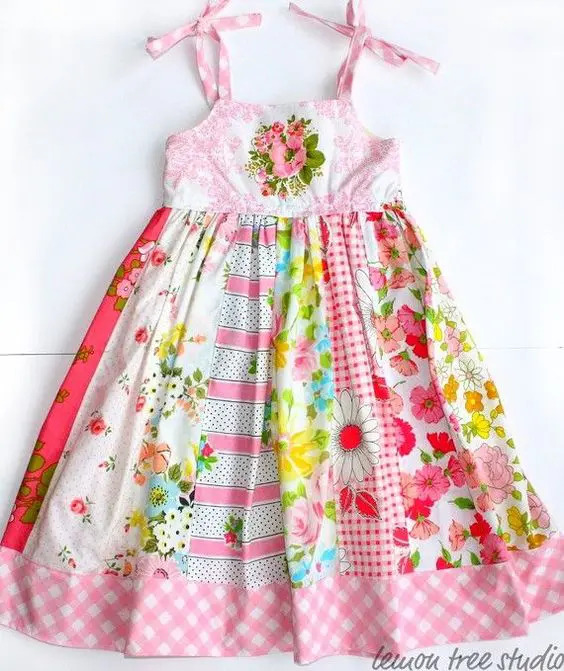 And, I absolutely love this idea for upcycling scraps into a darling sun dress for girls. 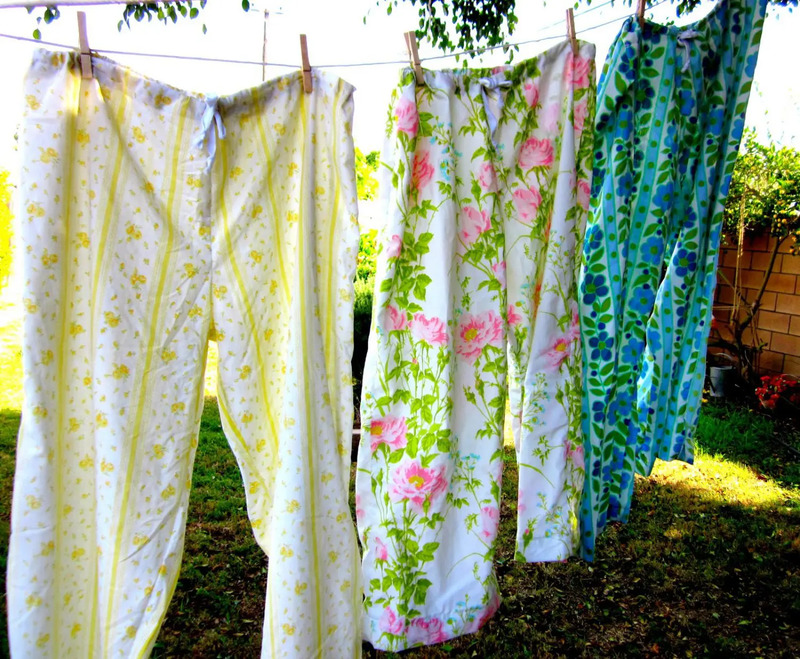 I can’t imagine a better use for the super – soft texture of vintage sheets – pajama pants! 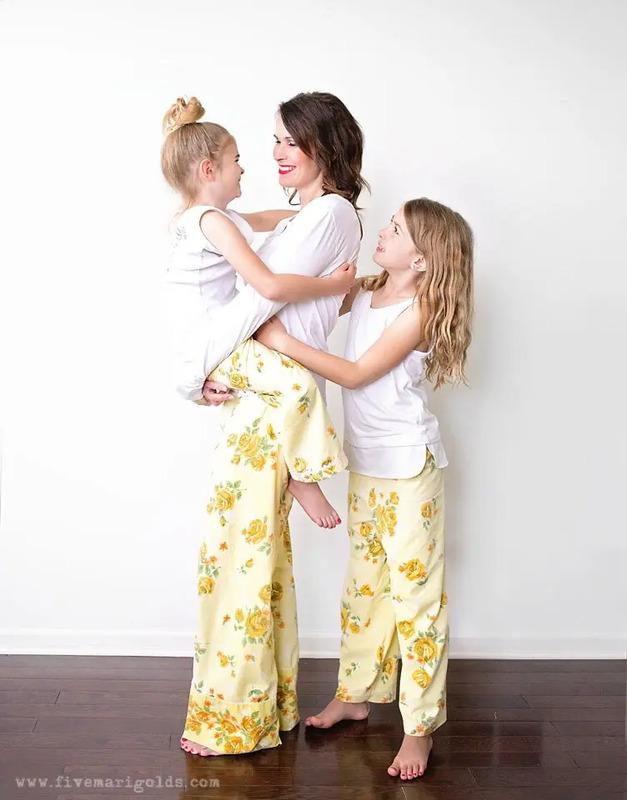 I tried my own hand at making pajama pants from vintage sheets recently and my girls and I LOVE them. We will definitely be adding more pairs of these to our collection soon. Even better? I was able to make three pairs of mommy-and-me matching sets for less than $1 total. Score! 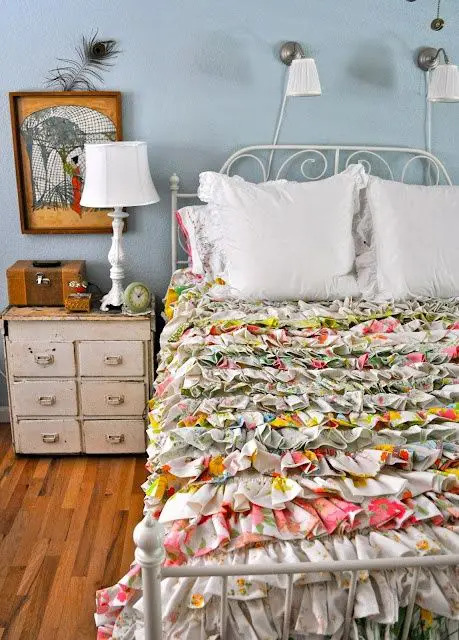 Bedding – This seems like perhaps the most obvious idea for reusing old sheets, but I don’t see it done nearly enough! 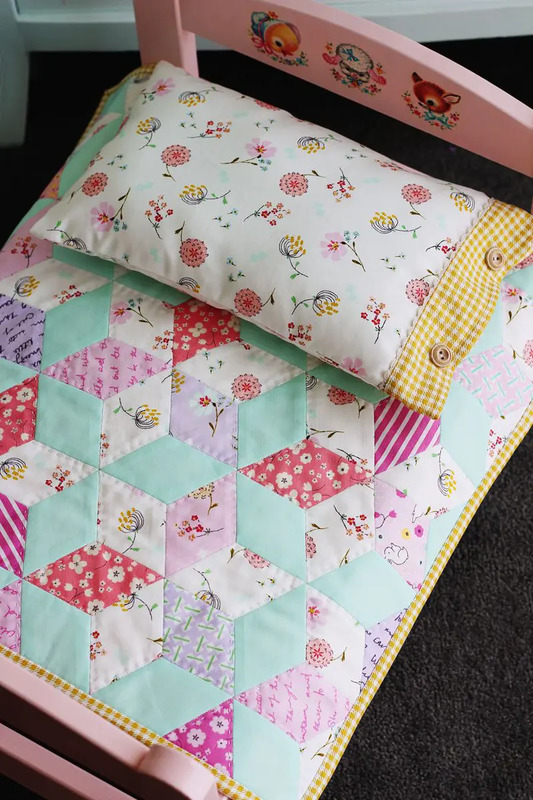 Just look how beautiful and colorful these quilts are. Can you imagine how soft they must be?! 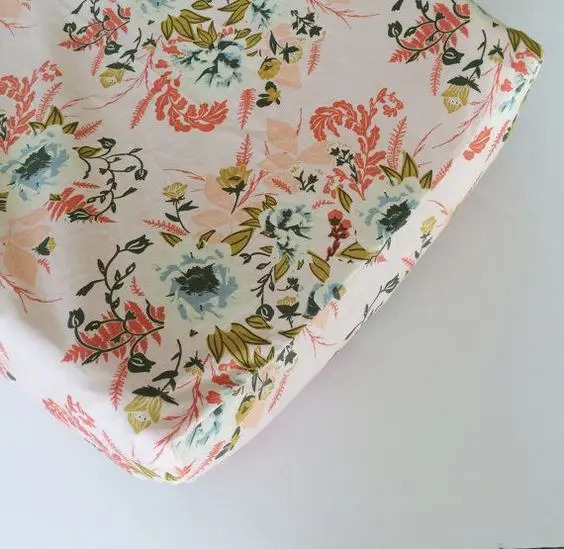 Pillows – Another great idea for upcycling old bed linens is to sew pillow shams or throw pillows, especially if you only have a remnant to work with. How darling! I can see pairing these with a vintage quilt or contrasting it against solid bedding. 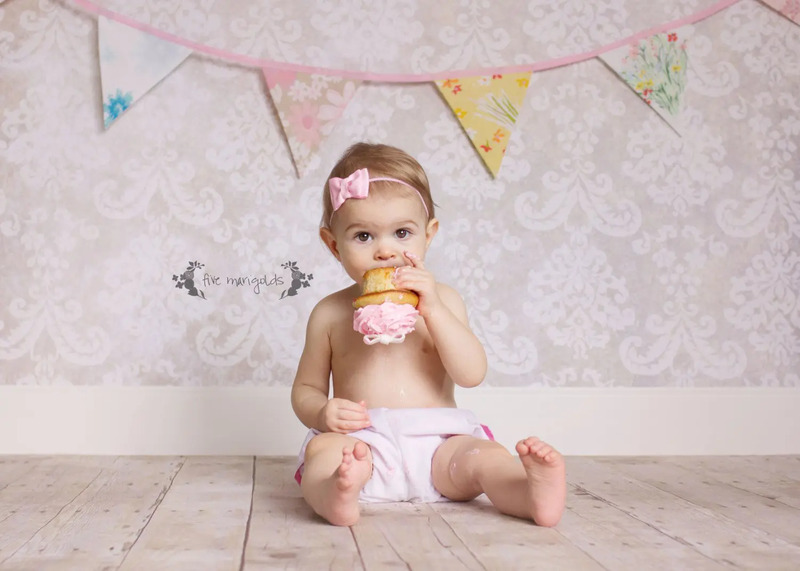 Fitted Sheets – How sweet for a baby nursery – making fitted crib sheets! 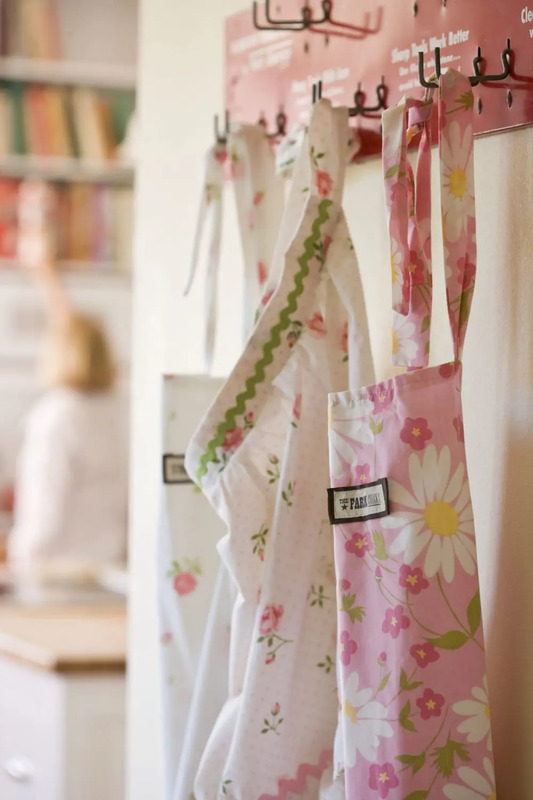 Aprons – How adorable are these? 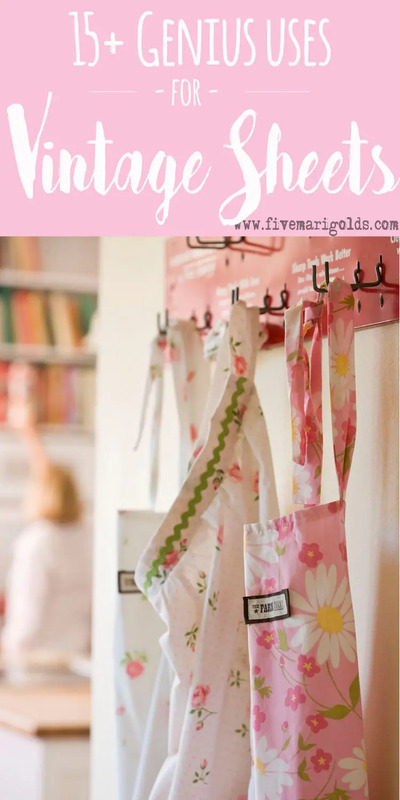 Wouldn’t these be perfect for a girl’s bake shop birthday party? 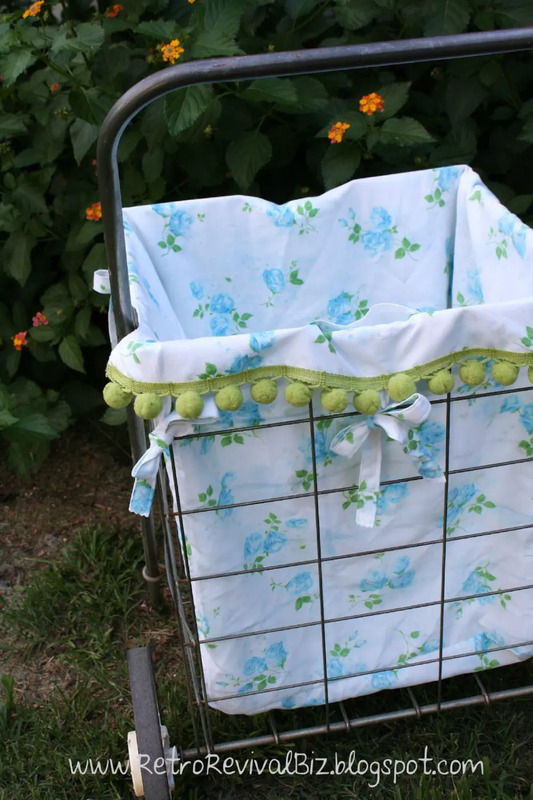 Basket Liners – Wouldn’t vintage basket liners be adorable in a laundry hamper, or a bedroom or linen closet? 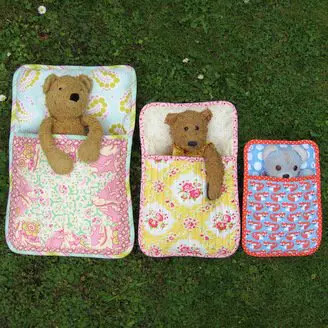 Doll Accessories – When I was a little girl, my best friend’s mom made me sleeping bags for my Cabbage Patch dolls that I loved so much! Perhaps it’s why I’m smitten with these! 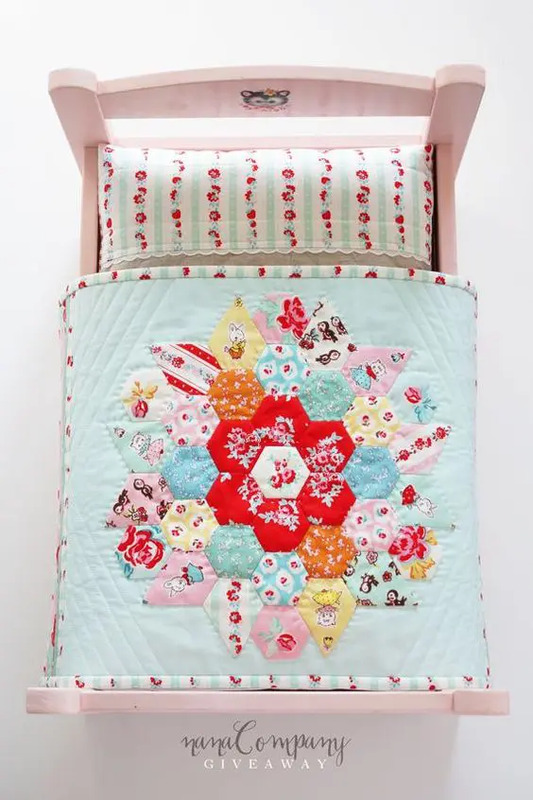 And, how stinkin’ sweet is this doll-sized quilt and sham made from vintage fabrics? Photography Props – It makes my heart happy to see these beautiful finds used as photography props. 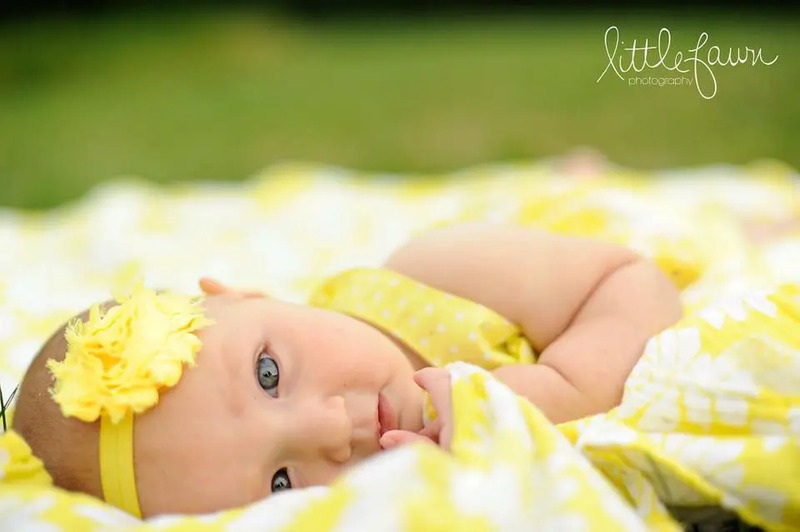 My talented friend at Little Fawn Photography took this lovely portrait – you can see how vintage sheets are perfect for outdoor and newborn photography! 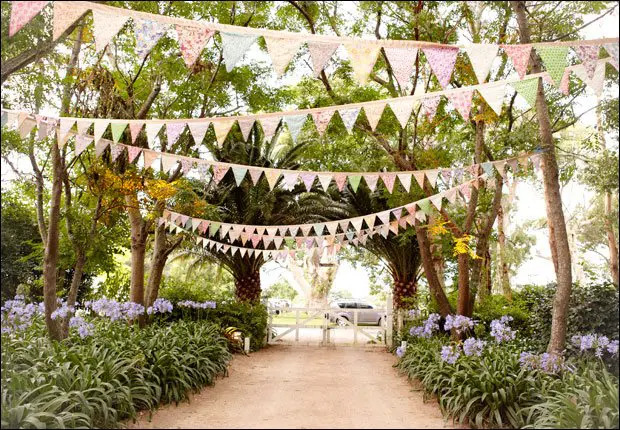 Here is another example of my vintage bunting that I mentioned earlier. It makes such a darling photo prop! And, can you imagine a sweet newborn photo in this miniature bed with a vintage quilt and pillow? 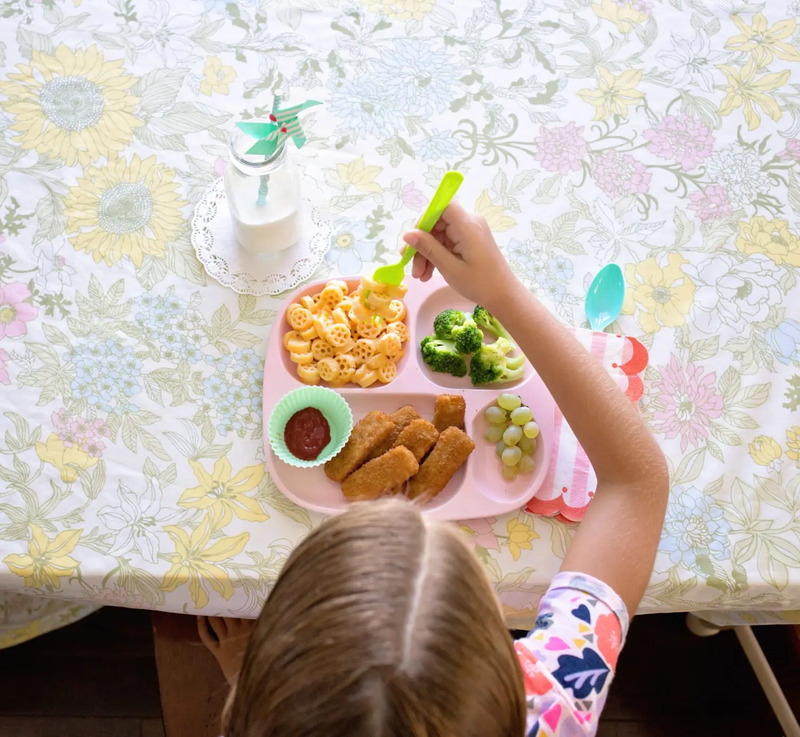 Tablecloths – If you’ve followed my blog for awhile, you’ve likely seen me use vintage linens as tablecloths. 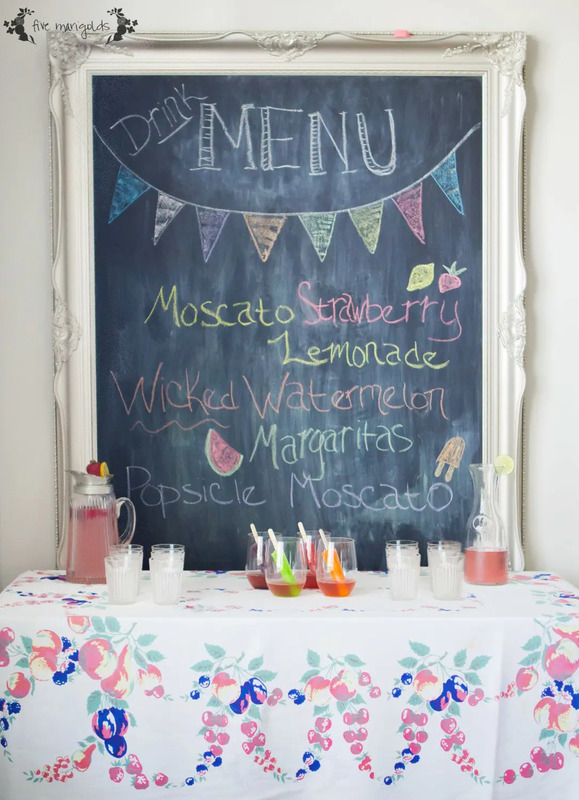 Such an easy and inexpensive way to swap out your table coverings by season or occasion. 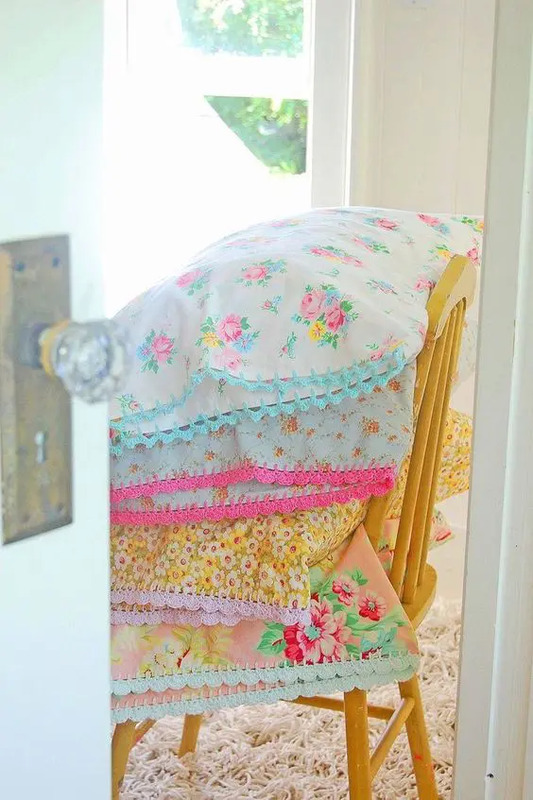 Now that you’re inspired to use vintage linens in your own home, you may be wondering where you can get your own? Of course, you could raid your grandmother’s linen closet, but if you’re like me, you couldn’t bear to cut those up! Instead, I’ve had some success finding them at thrift stores, vintage shops and flea markets. Depending on the size, pattern, and condition of the sheet, you can expect to pay anywhere between $7-$18 per sheet. If driving around town in search of the perfect pattern isn’t your idea of a good time, I highly recommend visiting Etsy, where store owners have done all of the work for you. It just so happens that I have my own shop where I’m destashing some of my own vintage finds! Please check it out and let me know what you think of my finds! 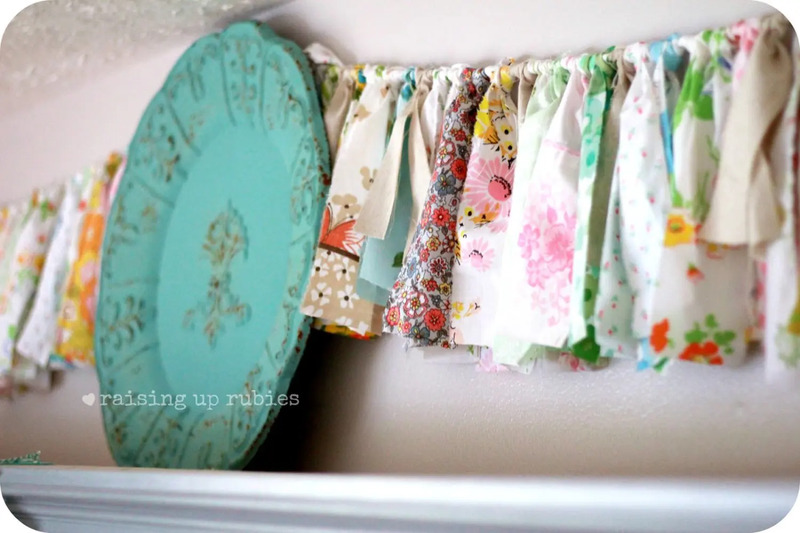 Do you have other ideas for reusing vintage bed linens and fabrics? Let me know in the comments below! These are such cute and great ideas. I wish I was super crafty! These are so beautiful. I love how you were able to turn them into so many things. I now need to find some of these vintage beauties to use around my house. 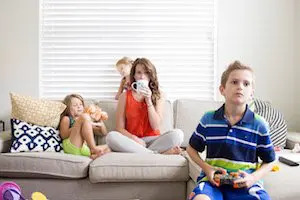 I am in love with this .. Great tips and ideas. Love this! So creative and different. Such cute ideas! i love the hanging sign. Ok, I’m obsessed with every single use that you suggested. I LOVE vintage sheets! Several things here I would never have thought of, thank you! 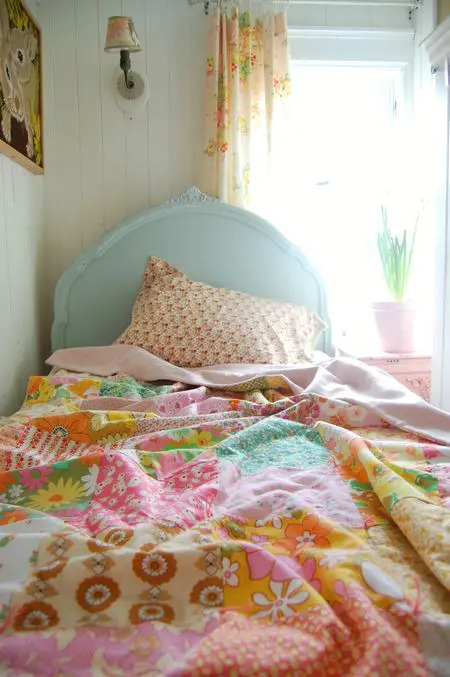 I have a stash of vintage bedding I’ve scored at thrift shops and garage sales simply because I love the prints so much… Thanks for all these great ideas to actually start using them! I’m so glad I’m not alone in my love for them! You’ll have to share your stash sometime so I can see! 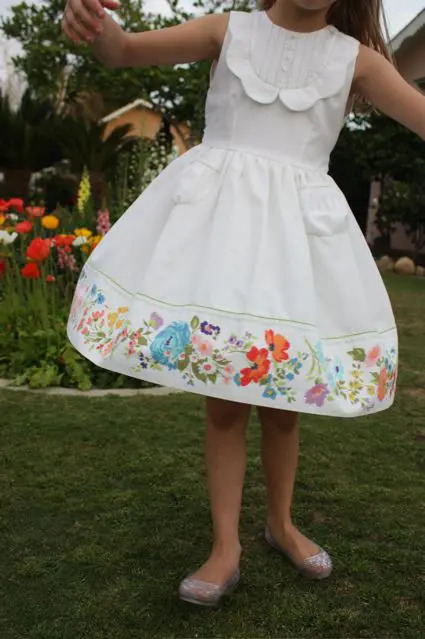 This is a wonderful post of examples of upcycling and thrift! 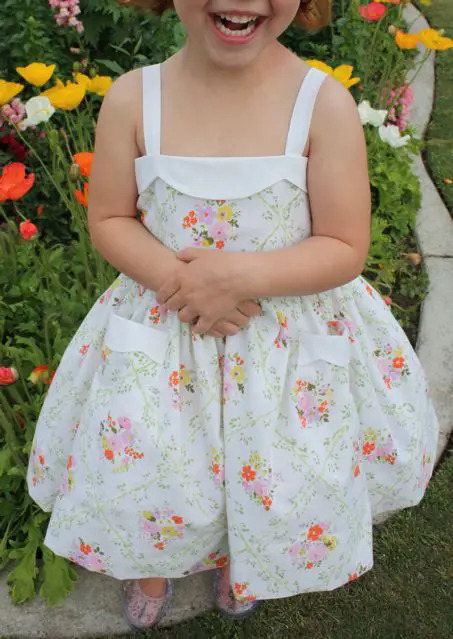 My favorites are the little girl dresses. SO cute. Gotta get out my sewing machine and raid the linen closet! And I have no problem spending a day thrift store shopping!